Tuesday, Thursday - Sunday 10:00 p.m. - 3:00 a.m.
Caesar's Pure Nightclub has been closed for quite some time, leaving many to wonder what would go in its place. 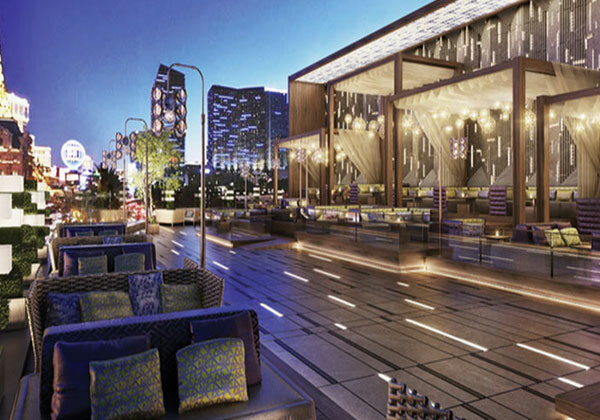 The famed Hakkasan Group, known for its prowess behind MGM Grand's Hakkasan Nightclub and Restaurant, stepped in to take the space over and deliver a new experience to the Las Vegas Strip. Taking some cues from it's Asian­themed club, the Hakkasan Group brings to Sin City Omnia, a modern, sleek establishment providing three different levels of partying and entertainment. Like an onion, Omnia is layered, and when each layer is pulled back, a new, equally as exciting one is revealed. 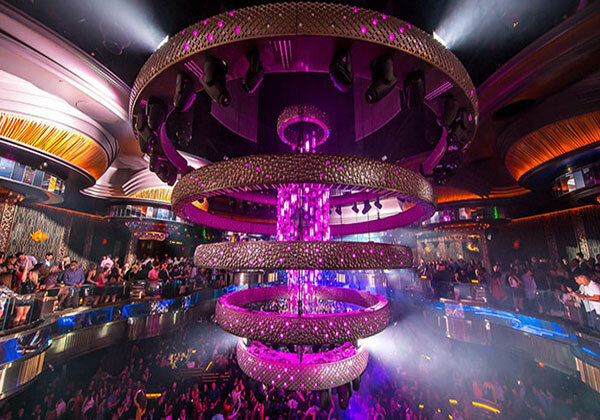 The first layer of this opulent space is the main nightclub, which houses a slew of VIP seating perfect for the club's premium bottle service, a tucked away bar, and a large dance floor. Stretching a decent length of the club, the dance floor sits between a flanking of plush leather VIP booths. At the helm of the dance floor is the DJ rise, lit up with a panel of lighting; to the left of the booth, a bar that kicks out expertly mixed beverages and premium liquors. 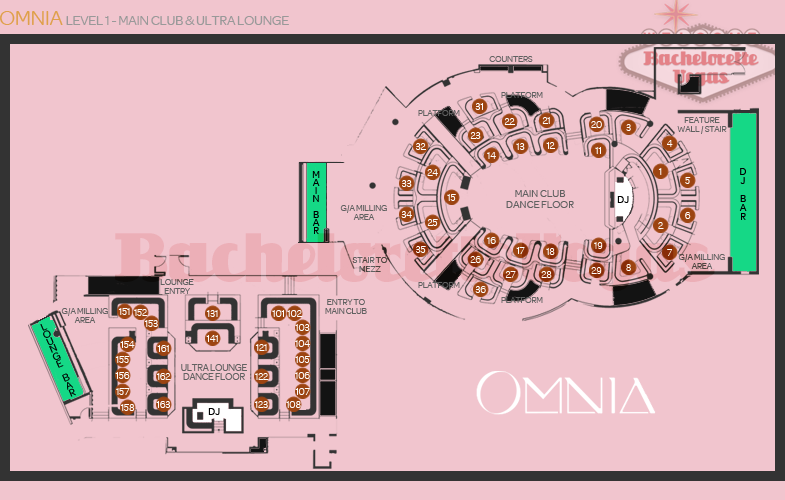 Omnia's second layer, the ultra lounge, is a more subdued version of the nightclub. Sure, you'll be able to hear the live entertainment, but it won't be as overpowering as sitting right in front of it. Kick back with your favorite beverage and enjoy the company in this lavishingly decorated space. Plenty of conversation pieces adorn the room, making it a challenge to decide whether to converse with your fellow loungers or drink in the sights around you. 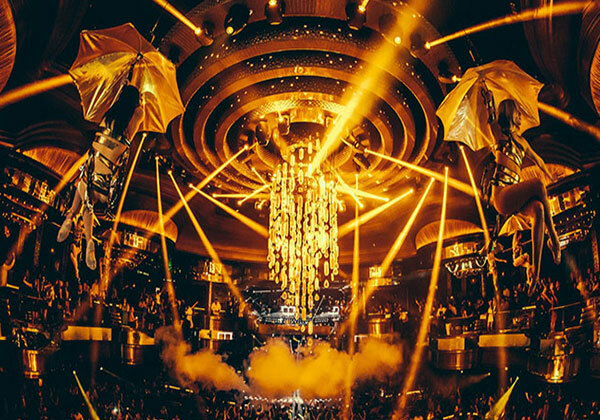 For the ultimate sensory overload, though, you'll want to check out Omnia's third layer. 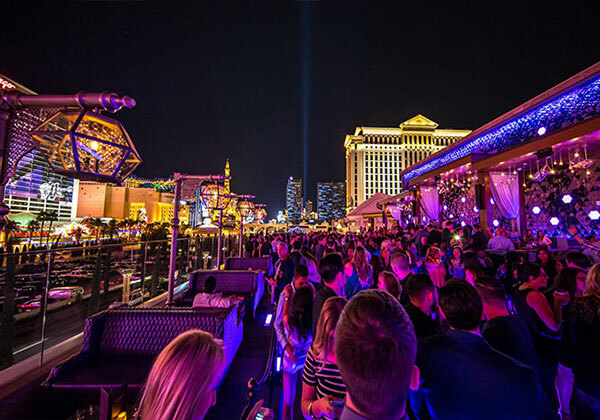 The rooftop balcony has become a staple of Las Vegas nightclubbing and it seems all of the new clubs in town include one. The one thing Omnia has over these other locales, though, is location. Caesar's Palace is right in the middle of the Strip, so anyone lounging around or partying on Omnia's rooftop deck with be treated to a pristine view of the glitz and glam of Sin City. Overlooking the Strip itself, Omnia's top floor provides a view of Las Vegas Blvd, making it possible to people watch and cause some envy from the crowds below. Regardless of which layer you settle on, there's only one real way to experience and truly enjoy what Omnia has to offer - with the club's premium bottle service. Give us here at Bachelorette Vegas a call and we'll be able to set you up with this premium service, which gets you a VIP host, front-line entry into the club, VIP seating around the dance floor, a bottle of premium liquor, and free mixers throughout the night for you and your table. 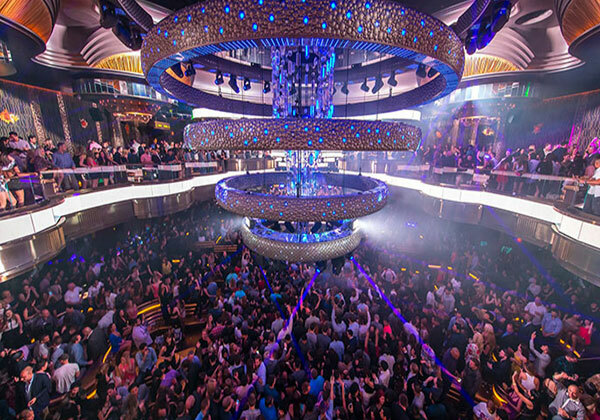 If you're looking for a taste of the extravagant side of Sin City, Omnia is it. 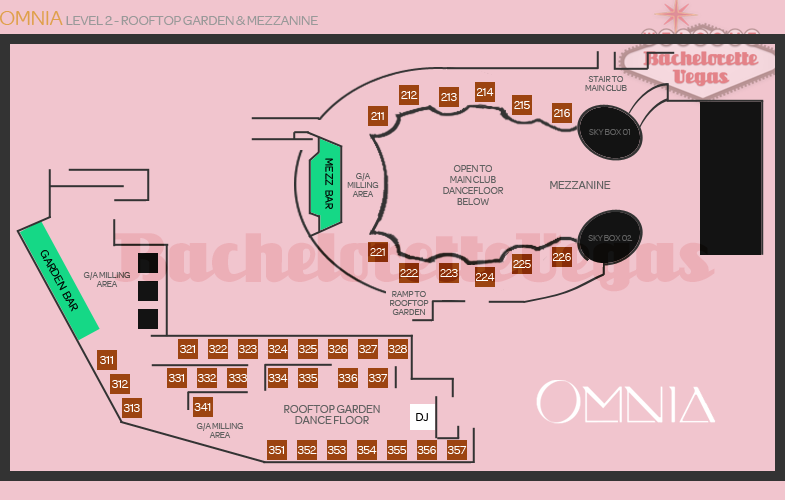 For reservation or VIP linepass to Omnia Las Vegas, please contact us..